The cubicle headrail end cap for D section cubicle headrail is manufactured from aluminium for durability and long-term value. 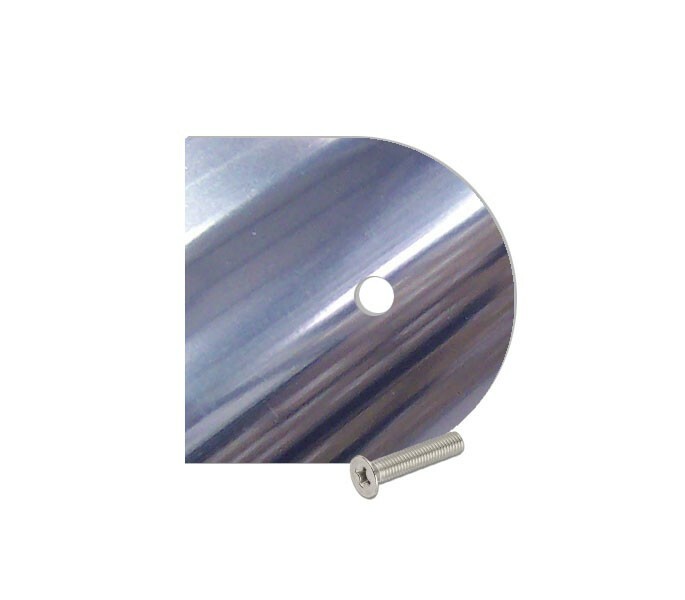 The reflective surface of the aluminium cubicle headrail polished finish appears stylish in position on the end of a D section cubicle headrail. The cubicle headrail end cap for D section cubicle headrail is sold in pairs and is intended to enclose the D section headrail.